"Engaged Leadership is the best of both worlds: an engaging business story coupled with a primer on the practical skills all leaders need. In the book, Swindall provides many useful tools for successfully meeting twelve major leadership challenges. I recommend it." "This creatively inspiring book not only encourages the leaders of tomorrow, but also inspires the leaders of today to step up and meet the challenges of a changing world. Business leaders will find true substance at the core of each page." --Nido Qubein, President, High Point University, and Chairman, Great Harvest Bread Co.
"Give this book to anyone aspiring to be an effective leader and you've put them ahead of the curve. Swindall has done a masterful job of bringing leadership to life in a book that's engaging and effective. 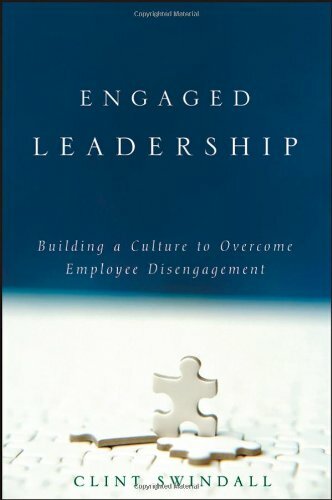 Create a leadership culture in your company by getting this book now!" "This book is so engaging; you'll forget you're learning. If you only have time for one book this year--make it Engaged Leadership. You won't be disappointed." "This book contains simple yet very effective management techniques that can improve every leader's ability to inspire and get the most out of their employees. Swindall shows us what employees want from leaders and how leaders can motivate employees using practical yet effective stories." "This is a slam dunk by Swindall! What a powerful read for any team member of an organization. A fun, enjoyable, insightful, and impactful lesson on how to apply the key concepts of engaged leadership to move your team forward."